I’m a big fan of Capt. Crash Idaho. He makes some great, short, and informative motorcycle videos on YouTube, where he has over 6,000 subscribers. 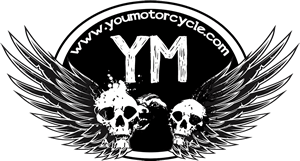 We’ve featured his videos on YouMotorcycle in the past, and we’re bringing him back for his most recent video: New to YOU! So you just bought a bike. Crash says take a good look at everything. Look for puddles, oils and lubricants seeping through leaky gaskets. Check the bottom of the forks, ends of the mirrors, and the underside of the grips and levers to make sure there are no scratch marks that would indicate the bike has been dropped. 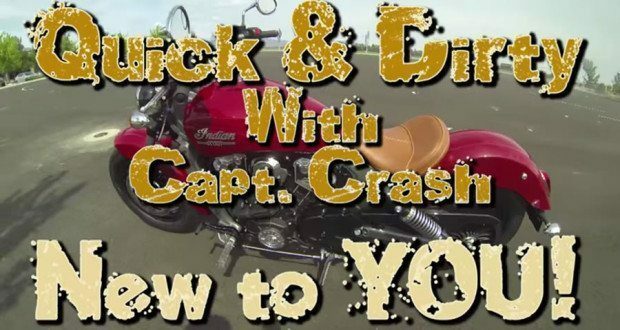 Crash recommends riding your motorcycle in an enclosed safe environment, like a parking. Take it to the parking lot and find out what its quirks are and how it performs. Better to learn in a controlled environment than out in traffic your first time on your new motorcycle. Find out how quickly you can accelerate and brake.